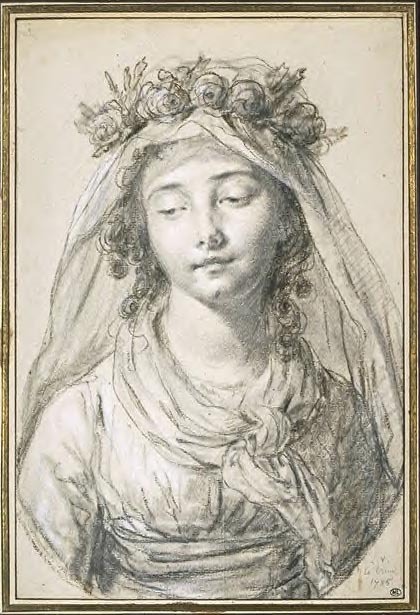 The subject of this supremely delicate drawing has been misidentified as Laure de Bonneuil, the future Comtesse Regnault de Saint -Jean - d'Angely. The adolescent model is represented either as a Vestal Virgin (Louis David painted the subject in a work now in the Los Angeles County Museum of Art, fig. 20) or as a "Rosiere." The theme of "La Rosiere" appears with a certain frequency in French art throughout the latter part of the eighteenth century. 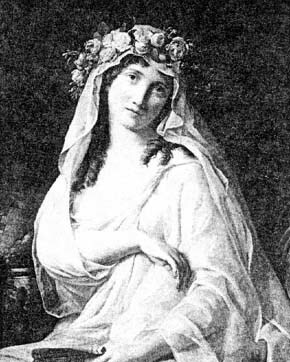 Traditionally, in certain localities of France and Italy, the title of Rosiere was bestowed on particularly virtuous young women. They received a crown of roses and monetary reward, often in the form of a dowry. In France, the ceremony was supposed to have been instituted in the fifth century by Saint Medard, bishop of Noyon. The Pope and the Sacred College distributed similar prizes yearly in Rome at the Church of Santa Maria Sopra Minerva. 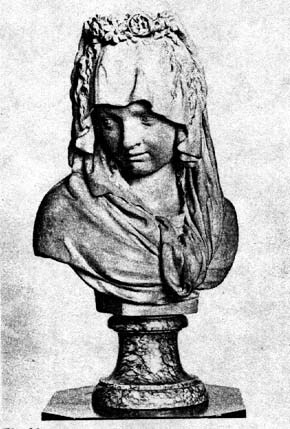 The sculptor Julien executed for the Comte de ' Vaudreuil (see cat. no. 14) a marble version of La Rosiere, a work that was exhibited at the Salon of 1781. The marble is lost, but the terracotta on which it is based is in The Metropolitan Museum of Art, New York (fig. 21). PROVENANCE: de Sampayo collection; acquired by the Louvre in 1902. EXHIBITIONS: Paris, Hotel des N6gotiants, Femmes peintres du XVIIIE siecle, May 14-june 6, 1926, no. 7 (Drawings); Paris, Musee Bourdelle (Mairie de Paris), Chapeau, May 28- September 1980, no. 107, illus. pl. LIX.